The Lady Panther Softball Team advances to the State Tournament to be held in Springfield on Friday, October 26, and Saturday, October 27. The Lady Panthers defeated the Pilot Grove Lady Tigers 10-1 on Saturday to advance. The State Semi Final game will be played at 1:00 pm on Friday. 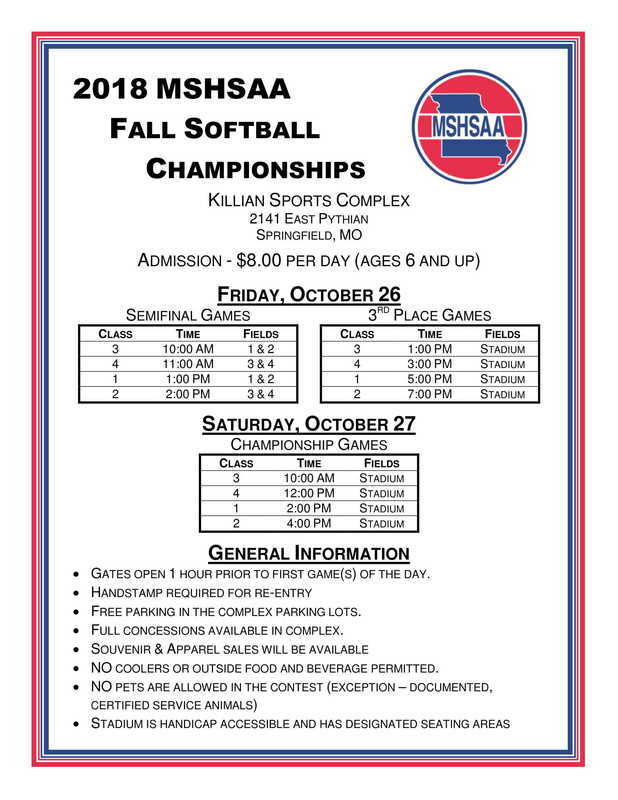 The games will take place at Killian Sports Complex in Springfield. The team will have a pep rally starting at 12:05 pm in the South Gym and will leave the High School and parade through town at 12:35 pm. The pep rally is open to the public (make sure to check in to the office). Congratulations Coaches and Players and Best of Luck at State!! !